Unfortunately, you might have learned too late that the nursing home you found wasn’t trustworthy, and now you need a nursing home abuse attorney so you can pursue charges and win compensation for pain, injury, and suffering. If you find yourself in a situation where you or your loved one needs help, contact Otorowski Morrow and Golden, PLLC. We’ll bring our 120 years of combined experience to bear in helping you achieve just compensation for unjust injuries. Most nursing homes in and around Seattle, WA and Bainbridge Island, WA offer their residents a comfortable atmosphere and quality health care. However, thousands of elders experience elder abuse at nursing homes every year, and they deserve to receive compensation from the people or group that betrayed their trust. Some of the most common elder abuse suits revolve around broken bones, physical or psychological abuse, neglect, or unjust restraint. However, elder abuse can sometimes be difficult to prove, especially if the victim experiences memory loss as a result of aging. A qualified lawyer can help you determine the facts and make a strong case for compensation. At Otorowski Morrow and Golden, PLLC, we work alongside our clients to build a solid case that ends with a favorable outcome. Our team will help you collect evidence, document injuries, and hold the nursing home responsible for their actions. Work with us to get just compensation that will help you pay for any medical care and recover financially from the situation. Nursing home residents deserve to be treated with care and respect, and you or your loved one are no exception. 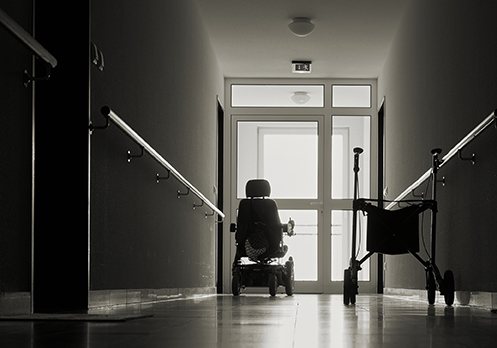 If your loved one suffered from a nursing home’s negligence or abuse, contact our elder abuse lawyer at (888) 842-1001 to schedule a consultation.